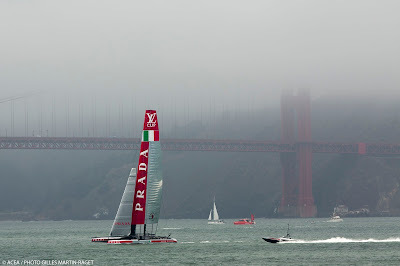 Under partially cloudy skies in a 16-18 knot sou 'westerly breeze Luna Rossa Challenge raced alone for the third time as their opponents Artemis Racing did not start. The Artemis team continues to work on their catamaran which is expected to be launched next week. 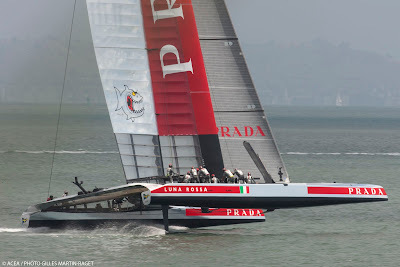 Ten minutes after the gun, the race committee terminated the race awarding the point to Luna Rossa Challenge who completed the five leg shortened race regardless. 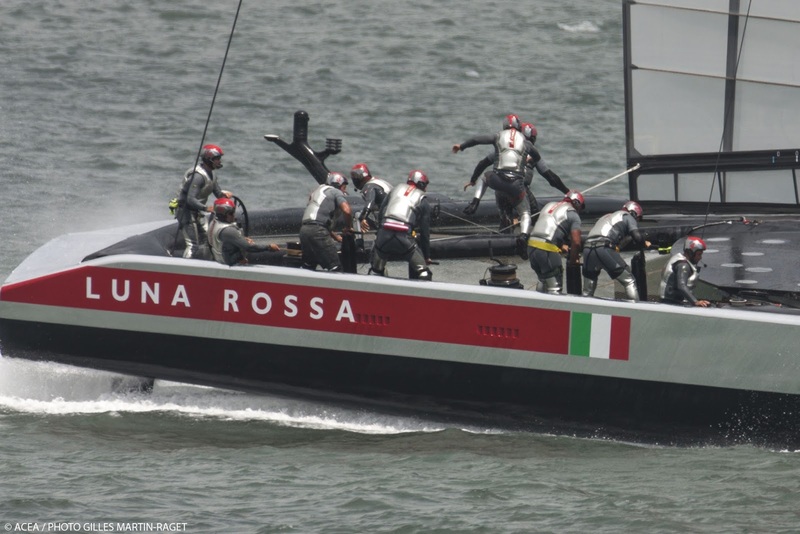 Luna Rossa Challenge sailed the 12 mile course in 27 minutes and 25 seconds reaching a top speed of 38.37 knots. 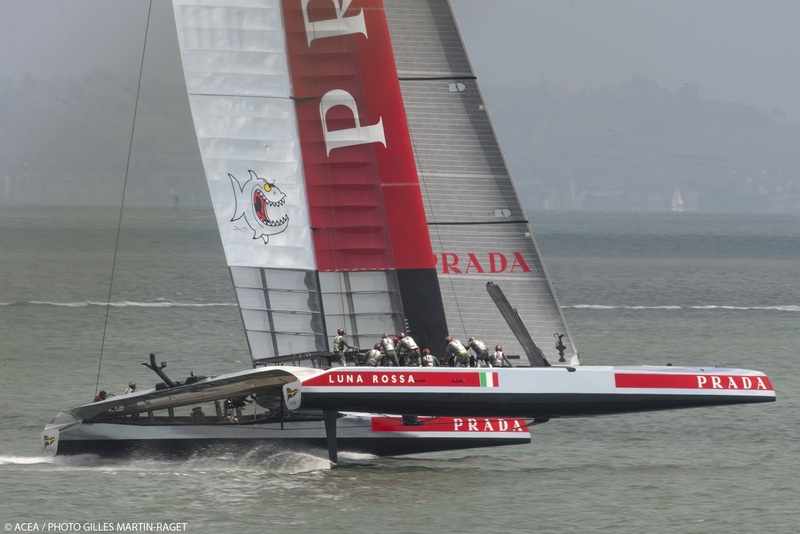 “The racing rules of the 34th America’s Cup state that if the umpires are satisfied that the other yacht has abandoned, the race can be terminated before the yacht who is sailing the course crosses the finishing line (note: rules 60.5 and 44.1c). 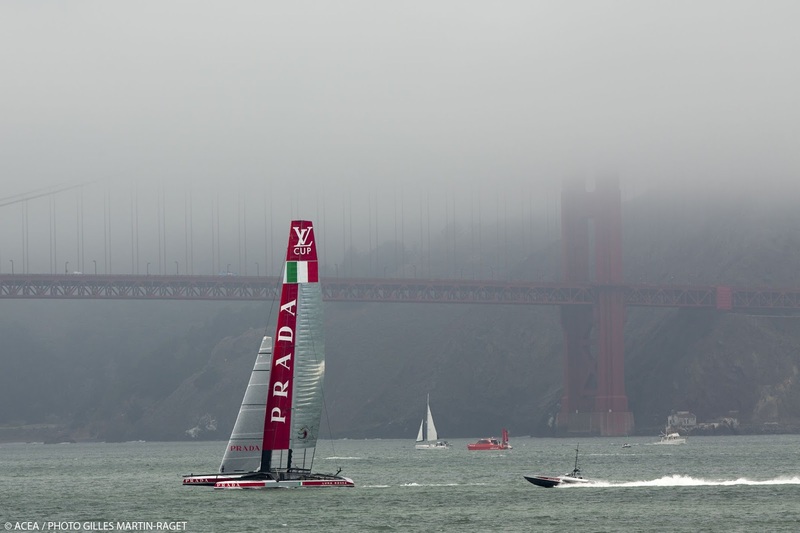 Today we sailed with gusty winds up to 19 knots. Both the performance of the boat and the manoeuvres have improved and we are now looking forward to facing Emirates Team New Zealand tomorrow. 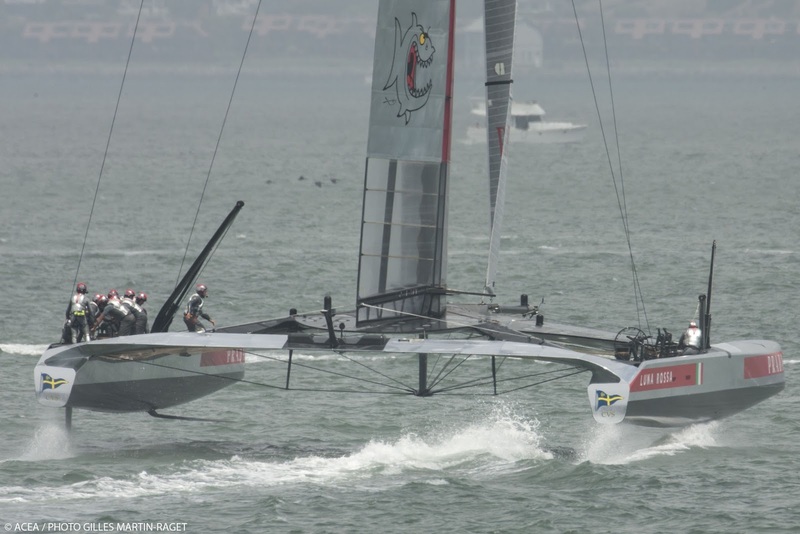 It will be a good test.” Skipper Max Sirena said back at the dock. 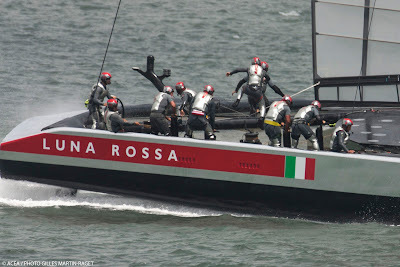 Tomorrow Luna Rossa Challenge will face off for the second time against Emirates Team New Zealand. 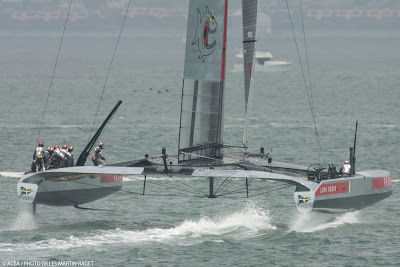 The regatta is scheduled to start at 12.15 local time. Today’s crew was: Max Sirena (skipper and pitman), Francesco Bruni (tactician), David Carr (pitman/grinder), Pierluigi de Felice (trimmer), Simone de Mari (primary grinder), Cris Draper (helmsman), Xabi Fernandez (wing trimmer), Nick Hutton (bowman), Lele Marino (wing grinder), Marco Montis (freestyler) and Wade Morgan (hydraulic grinder).